Happy new year everyone! I realize that’s slightly awkward given the fact that we’re more than halfway through January. But, I figured ya’ll needed a bit of a break from all the cookie madness. Christmas is basically the Superbowl for cookies and like any athlete, I needed a little R&R and time to get re-energized. I’ve been finding inspiration in many places (dear heavens, I love me some Pinterest!). One of the most intriguing dessert recipes I’ve seen recently is for Banoffee Pie. Have you ever tried it? 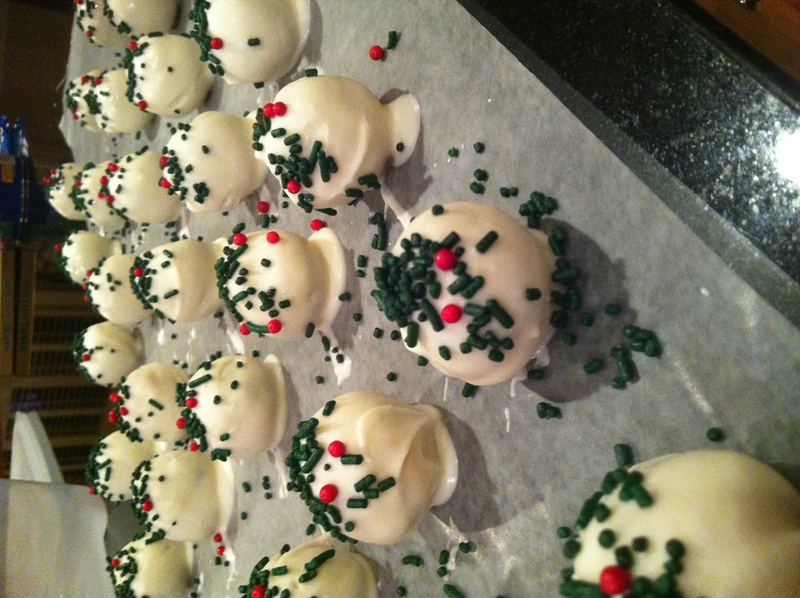 Last year, I made a variety of cake balls (or truffles) for the holidays instead of my usual variety of cookies. 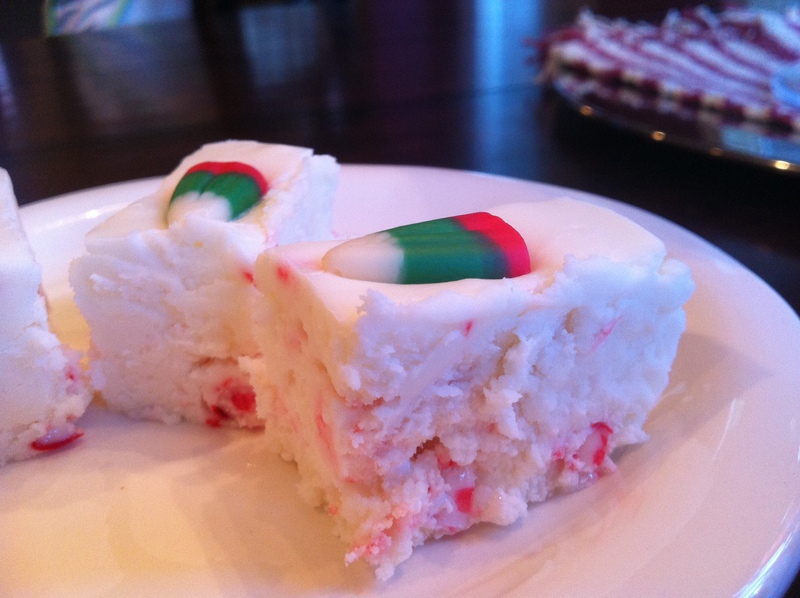 They are easy and fast to make…and with a crawling baby at the time, that’s all I could handle. If memory serves me right, I made four different flavors: Oreo, Nutter Butter, Red Velvet, and Gingerbread. If you’re interested in those recipes, just email me. I’m happy to share them! Since last Christmas, I’ve seen recipes for all different kinds of cake balls/truffles. But, when I saw this recipe for Cake Batter Truffles on the blog The Girl Who Ate Everything, I knew I had to try them. The only change I made to her recipe was using green and red holiday colored sprinkles rather than the standard rainbow sprinkles. Elf is hands-down one of my all-time favorite holiday movies. As Buddy will tell you, the elves like to stick to four main food groups: candy, candy canes, candy corn, and syrup. I was inspired to make a holiday recipe that uses all these ingredients and this is what I came up with! Snickerdoodles. What’s not to like? 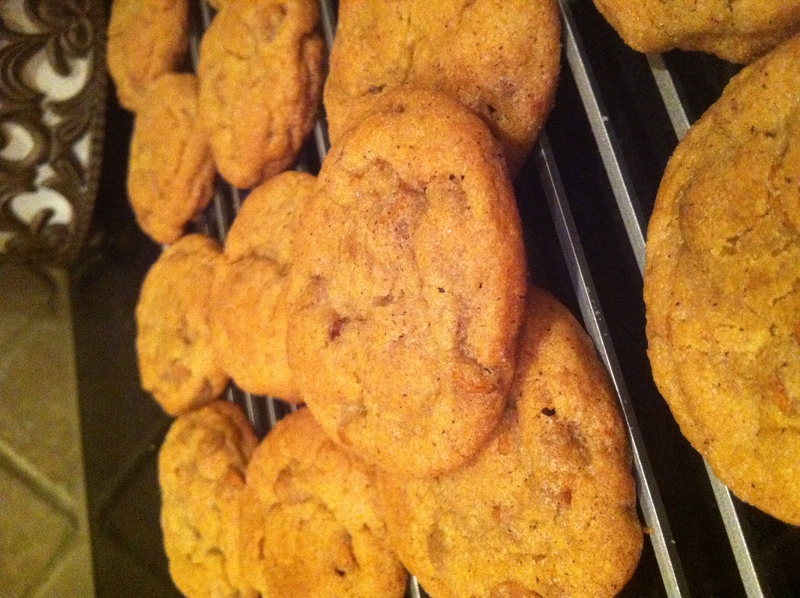 These are usually a real crowd pleaser because the flavor is so classic and simple: cinnamon and sugar. Does sweet cousin Sally have a nut allergy? Uncle Ed hates chocolate? Grandpa has falsies so caramel is out of the question? 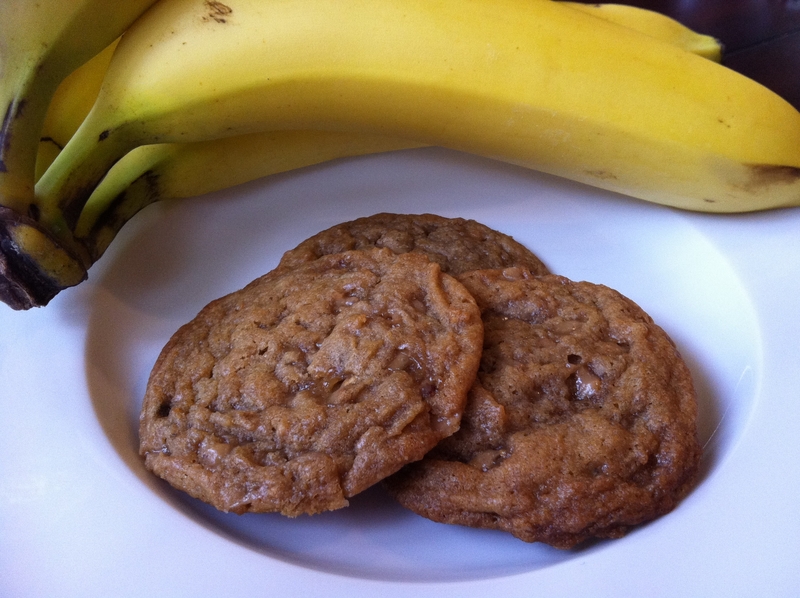 Fret no more – the snickerdoodle is the cookie for everyone! Inspired by a pint of Ben & Jerry’s Heath Bar Crunch ice cream at the grocery store, I decided some Heath and chocolate chip cookies sounded good. Pretty standard stuff in the baking world, right? I wondered. 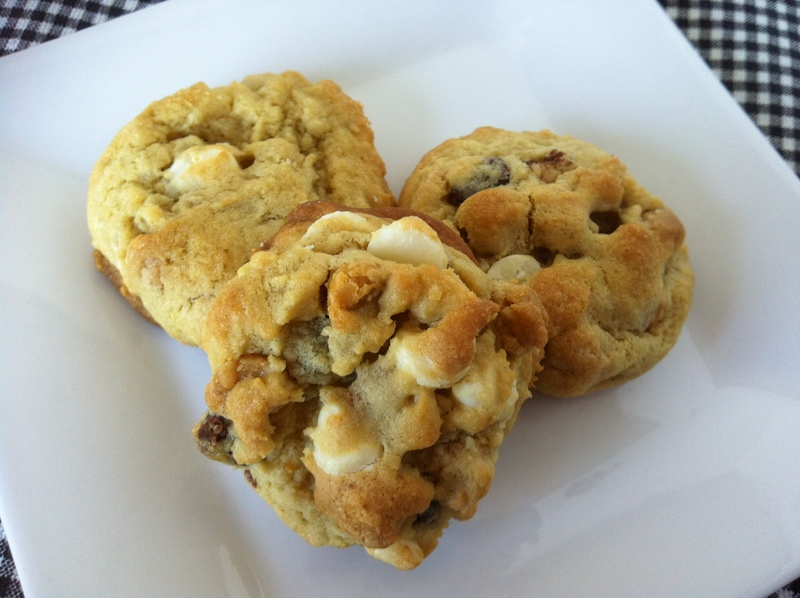 What could I add to these cookies to give them a little extra crunch? A little something…unexpected. Why not some Capn’ Crunch cereal? 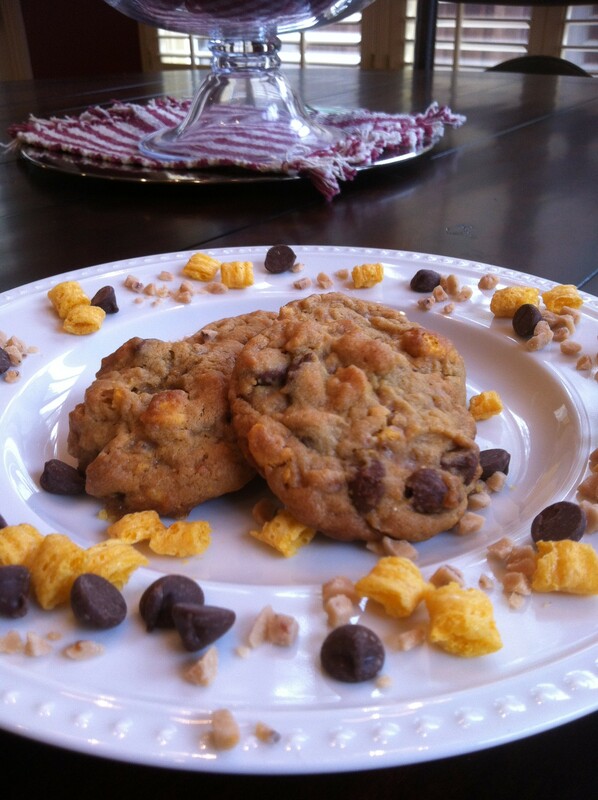 Crunchy AND sweet – perfect. For the record, I was not smoking anything when I came up with this concoction. 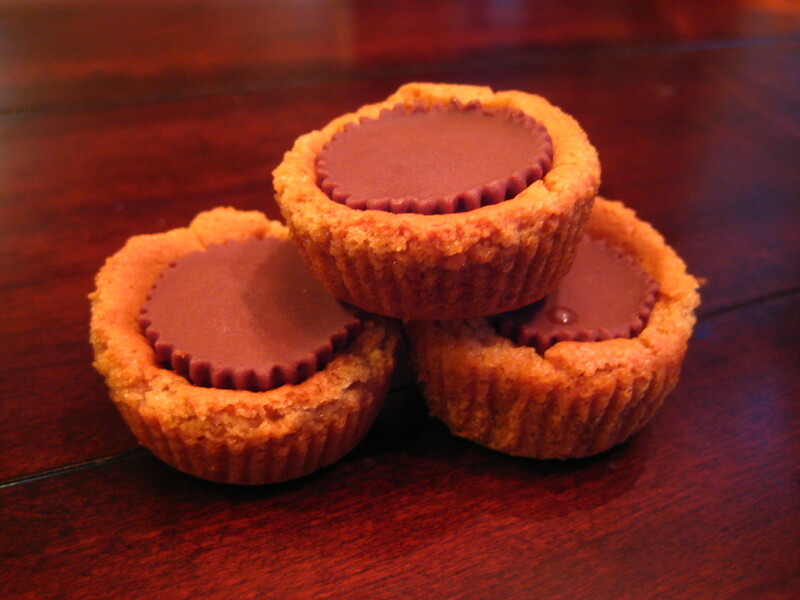 You need two ingredients for this recipe: a store-bought roll of peanut butter cookie dough and a family-size bag of mini peanut butter cups. The only pan you will use is a mini muffin tin…and that won’t get dirty if you line the tin with little baking cups. No muss, no fuss. Tis the season to be thankful…and this year, I’m thankful for all the new and wonderful baking products I’m seeing in the store aisles this year! 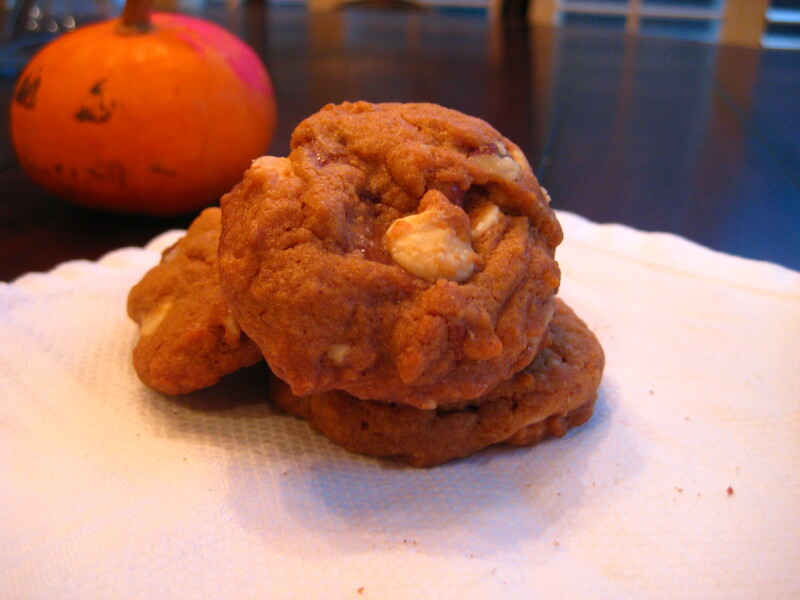 You may not be as dorky as me to realize that adding caramel to a cookie recipe can be a pain in the rear. Well, here’s the deal: you have to unwrap each one (which isn’t so bad) but then you have to figure out a way to cut them up into manageable pieces for your recipe. Ugh. 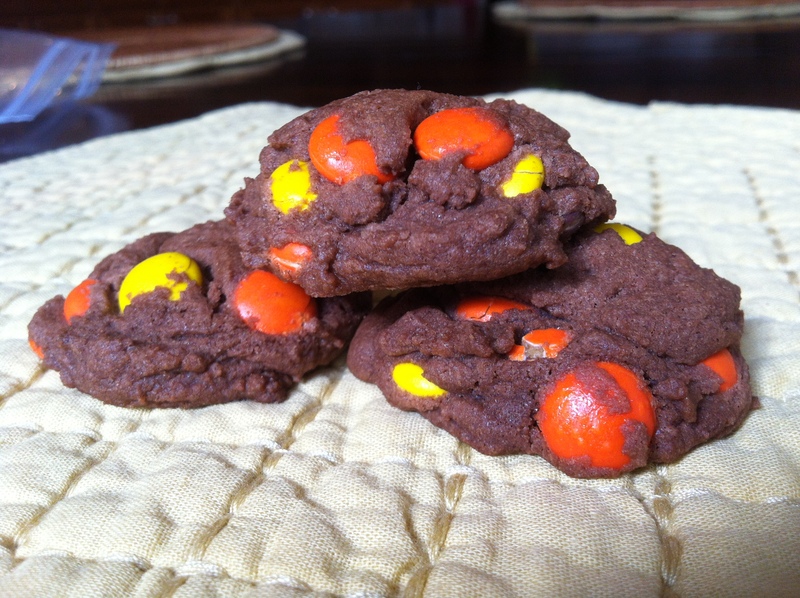 There are Rolo candies…but if you don’t want chocolate in your recipe, they don’t help much. You could also buy some soft specialty caramels from a local candy store and cut those up into little pieces…but I’m guessing that might also cost a pretty penny. Well, imagine my excitement when I saw these Kraft caramel bits at my local Walmart!! This recipe is what I came up with the first time I started getting creative with the basic chocolate chip pudding cookie recipe. 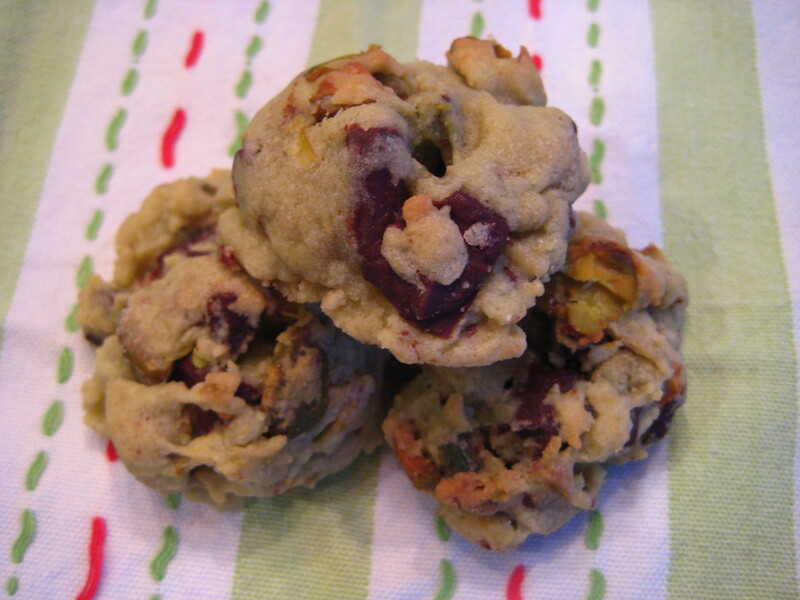 I’ve seen other pistachio pudding cookies out there from time to time, but I think adding in a cup of actual pistachio nuts and big chunks of chocolate are what make them stand out from the others. Hands down, this is one of my all-time favorite recipes! !